Denton Divorce & Family Law Attorneys | Lewis & Passons, P.C. At Lewis & Passons, P.C., we provide a wide variety of services to help clients resolve family law & divorce disputes of all kinds. Recognized as an expert in Family Law by the Texas Board of Legal Specialization, Mark Lewis has been a practicing Attorney for more than 30 years. Dedicated to providing a high level of expertise and personal service, Andrew believes that every client’s situation deserves the utmost respect and attention. * Mark Lewis and Andrew Passons are both Board Certified in Family Law By the Texas Board of Legal Specialization. 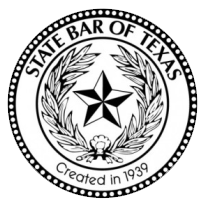 Less than 10% of attorneys in Texas are Board Certified. At Lewis & Passons, P.C., we strive to combine high quality family law services with the personal attention and care you would expect from a Denton County attorney. We believe in a “do the right thing” philosophy that focuses on resolving your family law issues in the most efficient, but effective, manner possible. Mark Lewis and Andrew Passons are both board certified in family law by the Texas Board of Legal Specialization, and they will put their expertise to work for you. Whether your case involves divorce, child custody, child support, adoption, complex property division, or any other area of family law, we can help you at Lewis & Passons, P.C. Why Should You Choose A Board Certified Attorney? Clients throughout Denton County look to the law offices of Lewis & Passons, P.C. when they need assistance resolving their most serious divorce and family law issues. Our office holds the necessary expertise that clients seek when looking for an experienced family law attorney. Contact our office today to schedule a consultation. * Super Lawyers is a Thomson Reuters Service. Mark Lewis was recognized as a Super Lawyer for the years: 2005, 2007 – 2018. Andrew Passons was recognized as a Super Lawyer Rising Star for the years: 2010 – 2014 and was also recognized as a Super Lawyer in 2014 – 2018.